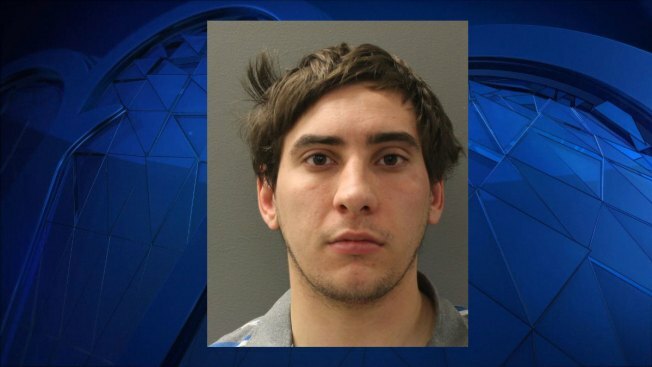 A man who was allegedly impersonating a police officer pulled over a Hamden resident and tried arresting him, police said. In October, the 24-year-old resident told Hamden police that he was driving on Evergreen Avenue at 1 a.m. when another car started "tailgating and flashing high beams" at him, according to police. The car followed the resident to Cannon Street and a man identifying himself as an off-duty officer exited the vehicle, Hamden police said. After a brief verbal altercation, the alleged cop left Cannon Street and then came back, banging on the resident's door. When the victim answered the door, the suspect was now dressed in a police officer uniform, including a badge, police said. The suspect said that he was instructed by his supervisor to arrested the victim before getting in another verbal altercation and leaving the property, according to Hamden Police. On Nov. 18, police arrested Nicholas Ferrucci, of North Haven, on a warrant alleging that the 23-year-old had impersonated a cop a month earlier. Ferrucci was charged with impersonating a police officer, carrying a dangerous weapon and breach of peace. His bond was set at $20,000 and is expected to appear in court on Dec. 2.